Our small teacher, student ratio 10/1 give your child the opportunity to easily get involved and engage in the class. 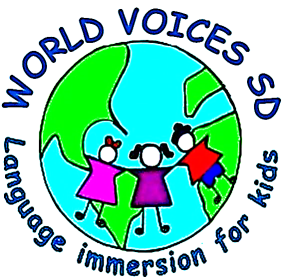 Our program is a full immersion approach, this will take your kid to speak without an accent and in a natural way. To have the best results all of our teachers are native speakers! Please note that our regular session classes need a minimum of 5 children enrolled to run, and our summer camp classes require a minimum of 10 students per week. In the event that a class does not meet the minimum requirement, it may be combined with another class or it may be canceled/postponed until further notice. Preschool classes meet for 45 minutes. Adult, youth students class times varies 1:15 to 1:30 per class, group classes 1 hour. Payments are due one week before class begins. Enroll at any time we will prorate the classes for you. Private lessons available upon request, please call for information and options in your area. Prices may vary depending on school or location. ALL STUDENTS MUST HAVE FORM 1, & FORM 2, FILLED AND SIGNED BY SECOND CLASS OF THE SESSION. Don't see a class that fits your schedule? No worries! contact us and we'll do our best to make it happen. Feel free to suggest day and time! Please read Terms & conditions, before signing up for a class!